I used to make a lot of fonts. My original plan was to move them all to 3rd party sites, but one time I let the site go down and strangers complained to me! So here are my fonts, archived forever just for you. Enjoy, and let me know if you do anything cool with them. Usage: Yes, all my fonts (except Soft Serve) are free for personal and commercial usage. However, you can’t resell them. 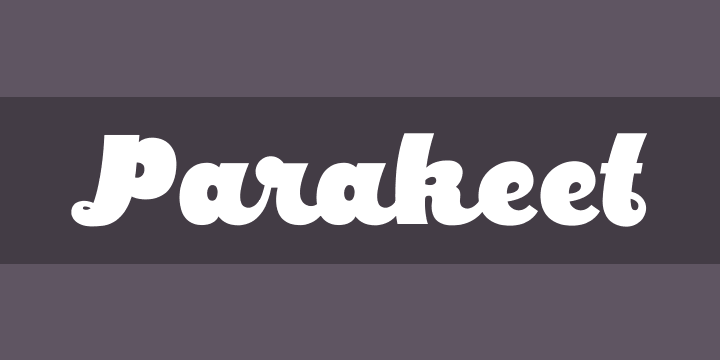 I honestly couldn’t tell you why I designed this font or what for or how it came to be named Parakeet. The only notes about it in my records with the original sketches are a list of roller coaster names, a perfectly preserved Bambu and reminder to file my taxes.